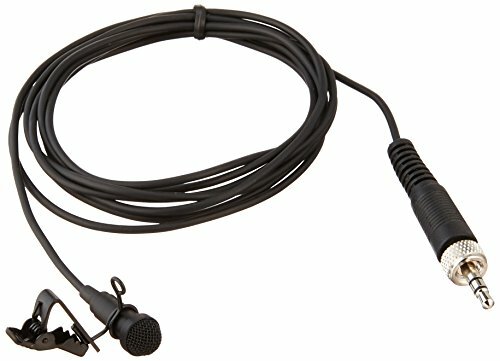 So what is the best lavalier mic on the market? This article outlines what we believe are the best lav mics out there and covers the best wireless lavalier mics for all kinds of filmmaking and video production projects. If you are filming a video that features a lot of interviews, it’s a good idea to have and use a lavalier microphone. Not sure what that is and why it is important? Well, first let’s look at what else a lavalier mic is called. It is also known as a clip mic, body mic, or lapel mic because that is how you use it. It is a small mic that you clip onto your subjects body, usually on their lapel or collar. Because a lavalier mic is small, it can be discreetly and strategically placed close to someone’s mouth. This means that you can capture their voice clearly without picking up background noise. It’s also easy to hide in the subjects clothing so it makes the interview footage seem more “candid” and natural. The hands-free nature of a lavalier mic also makes using it a lot more comfortable for the subject your shooting. Below, we’ve included a list of a few good lavalier mics that can currently be found in the market. Check them out and choose the one that best suits your needs without breaking your budget. This lavalier microphone is wireless. This means it has a radio transmitter that you can clip on or hang on your subject, usually on their belt or around the waist area, and a radio receiver which can be connected to the camcorder. Wireless lavalier mics allow you to capture your subjects words clearly even as they move around. 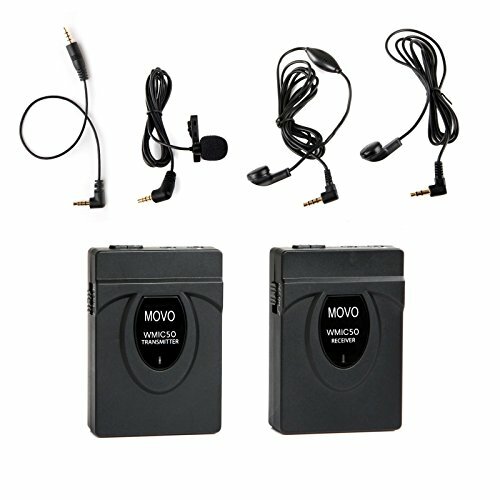 The Movo WMIC50 has a wireless system of 2.4 GHz. It has an internal antenna and can capture sound eat a distance of up to 164 feet. You can use it two ways, by clipping a transmitter to the subject with a belt clip or by mounting a receiver on your camera or a tripod. It also has a foam windscreen and 2 headphone jacks which allow it to capture voices clearly with minimum background noise. The Movo WMCI50 is battery operated. You need to have two AAA batteries in both the transmitter and receiver. With fully charged batteries, you can get around 3.5-4 hours of recording time. This is a relatively budget-friendly option. The Sennheiser ME 2 is an ultra-small, high-quality omnidirectional microphone. It has a frequency range of 30-20000Hz. The omnidirectional recording pattern of this mic virtually eliminates background noise and feedback noise and improves the clarity of the recorded audio. Its small size and light weight make it easy to hide and use. This mic is very good for use in interviews and is a standard of the TV industry, used in news and talk shows. It works well for both studio recording and outside recording. The Sony ECM77B is an industry standard circular condenser microphone. It’s commonly used in both radio and television productions. 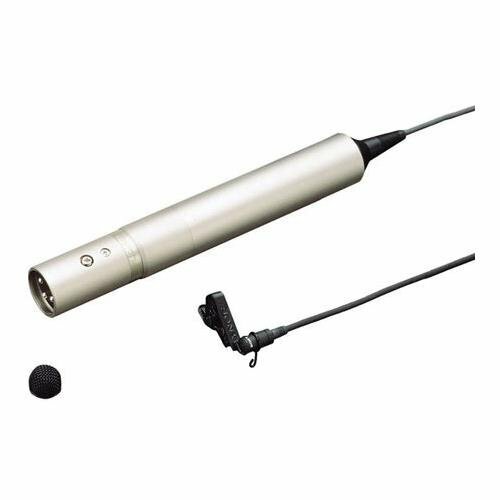 The Sony ECM77B is one of the smallest lavalier mics in the world, the diameter of its capsule is just 5.6 mm. It is also very lightweight, making it easy to attach to an interview subject – even if the subject is moving. This mic has a frequency range of 40-20000 Hz and a 90dB dynamic range. It is an omnidirectional mic with a sensitivity of -52.0 dD. The ratio of signal-to-noise is > 64db. Because of its high sensitivity, wide frequency range and low self-noise, it takes very good acoustic recordings. This mic gets its power from two sources. It can run both on phantom power and on AA batteries. 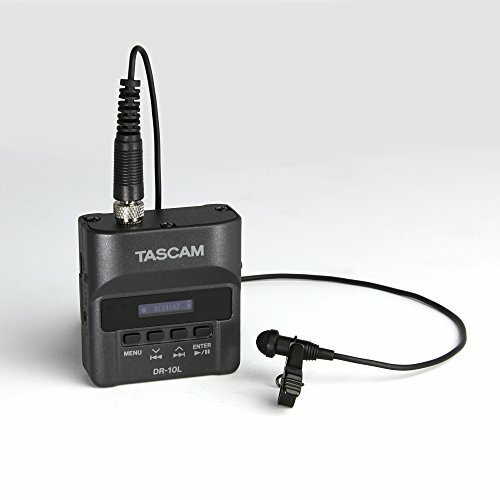 The Tascam DR-10L is a portable recorder with a professional lavalier mic. It was made with video operators in mind and designed to conveniently take quality audio when shooting dynamic videos. It’s especially useful from shooting documentaries or wedding videos. The Tascam DR-10L is compact and reliable and it also captures great recorded sound. If you’re an Apple devotee, you might want to think about getting a Rode Smart Lav. 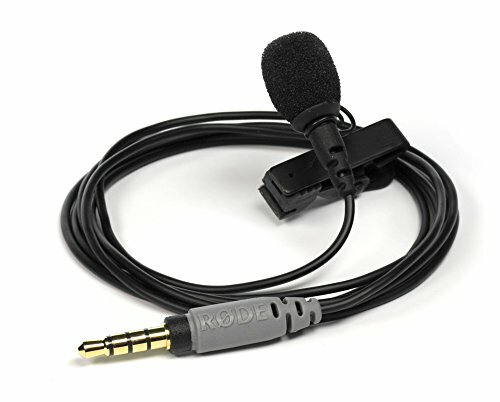 This condenser lavalier mic was designed by Australian audio equipment supplier Rode to work with iOS devices. So you can shoot video using your iPhone or iPad and use this mic to record and edit audio. The Rode Smartlav connects to iOS devices through the headset jack. It was created with a compatible iOS application, the Rode Rec, but it is compatible with other audio apps for iOS. It can capture professional quality sound without the need for cables or bulky equipment. This is a cardioid mic, which means it picks up sounds in a cardioid patter with the front of the mic being the most sensitive, the sides less sensitive, and with no sound picked up on the rear. This makes it particularly good for one on one interview where you just want to pick up and record the voice of the subject. The pick up angle of this particular mic is about 120 degrees which means that the amount of environmental noise it picks up is very minimal. This mic comes with a battery pack but it also has the capacity to run on phantom power. With just a single AA battery, this mic can continue working for up to 2 months. This is a great budget friendly option. The BOYA BY-M1 is a versatile system that is easy to set up and use. It also gets pretty good audio quality. It can be used when you’re shooting video with a DSLR or even a smartphone or tablet. This mic detects sounds on the range of 65-18000 Hz, it also has a high sensitivity level at -30dB which allows you to pick up and record faint sounds. It also has a good level of noise reduction. The BOYA BY-M1 uses LR44 batteries. This is another really budget friendly option. A lavalier mic is commonly used in the theater, where it is concealed in a performer’s hair or clothing. This allows it to amplify the voice of a performer talking or singing. They are also used in television filming – such as in news programs – or in documentary filmmaking. It’s also the type of mic that you see taped to a person’s body and hidden under their clothing in crime shows and movies when the law enforcement agents wire someone in order to secretly record a conversation. A good lavalier mic will cost you around $100 to $800, with the highest quality lavalier mics going for around $1,500. It is a good investment for any video maker to make, especially if you shoot a lot of footage with live subjects where it’s important that you capture their voices clearly and cleanly. We hope you’ve found this article on the best lavalier mic useful. Whether you’re looking to record great sound on a documentary project, a narrative project, or anything else, a lavalier mic would come in handy. As you can see, sometimes the best lavalier mic isn’t necessarily the most expensive. There are all kinds of lav mics out there for a range of purposes and budgets, hopefully this detailed guide has informed your decision about what to buy. Have we missed out on a great lav mic? Lavalier mic missing from our guide? Let us know in the comments below. All of the above mics are good for interviews. Lav / clip-on mics are perfect for interview setups. I have used Tram wireless mics and have always been impressed. Why are they not on your list? I’ve not used Tram mics in enough detail yet to include. Thanks for the recommendation, though. As mentioned, this isn’t a list for sound pros, such as those on JWSound. It’s instead a helpful guide for those starting out.